As the waves crash with heavy force, Cherie Shepherd says the only thing she can do now is wait. “We are sitting, watching, waiting and protecting our home,” Shepherd says while sitting on the rocking chair on her family’s front porch. Shepherd’s home one of the 56 pounded by massive flooding in Rhoddy’s Bay, a community in McNab-Braeside just west of Arnprior. “We cannot thank the people in our community enough,” says Shepherd of the tireless volunteers and area firefighters who have worked to fill more than 30,000 sandbags. But even all the sandbags and help aren’t enough to save Suzie Smith’s basement, “it’s bad”. Wading through the chest-high water to get up the stairs, she still considers herself lucky. Smith rents the home for the winter; she doesn’t store much in the basement. What has her more concerned are the cottages she and her family owns down the street, along with her parent’s permanent home next-door. The cottages are taking in some water, her father Allan says the home, protected by sandbags, is barely surviving, “we’re maintaining,” he tells CTV from the family’s boat now the only way to get around. Just upstream in the small community of Castleford, homes and cottages on Towey Lane, looking more like a disaster zone. The Ottawa River’s destruction is too much for many residents. They’ve locked their doors and left, the high waters an impossible battle. Cottages and homes that have been in families for generations now destroyed by Mother Nature’s wrath. 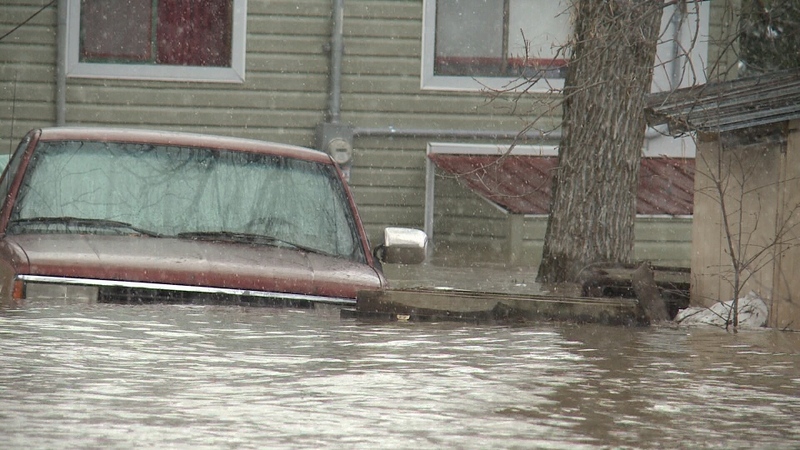 Residents in Castleford, a small community along the Ottawa River between Arnprior and Renfrew, is trying to do all they can to save their homes, cottages and vehicles.